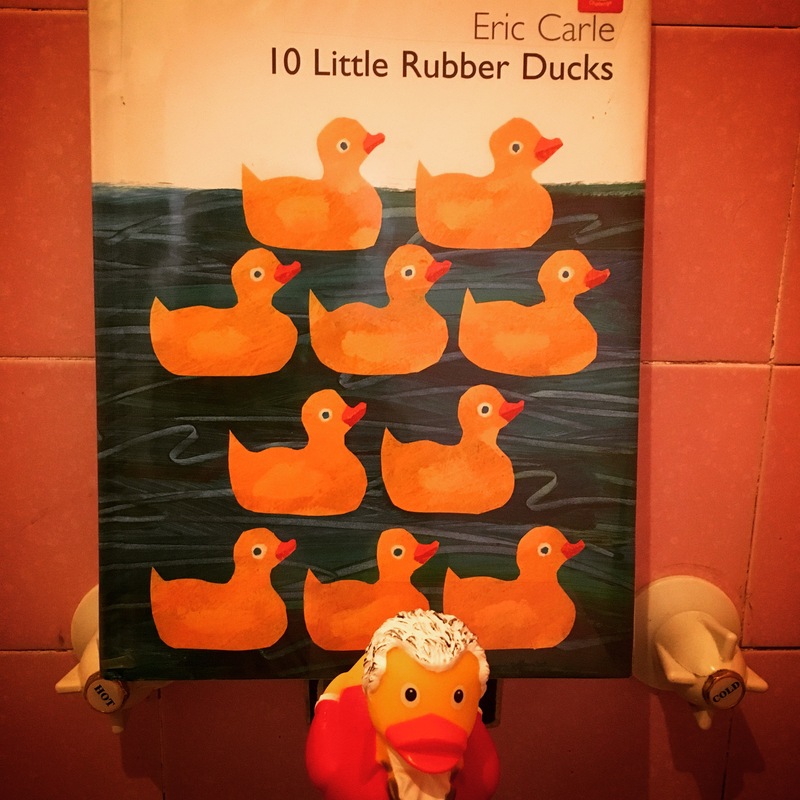 10 little rubber ducks by Eric Carle | Educate.Empower. Hmmmm….so this really isn’t an environmental book when you pick it up but it made me think a lot about products that we use regularly that will take years and years to break down, and even then the compounds they were made up of will still exist – changing the soil or water they break down in forever. 10 little rubber ducks is a sweet book as many of Eric Carle’s books are. The pictures are vibrant and the words are easy to listen to telling a joyful story of the journey of 10 rubber ducks on their way from a factory to faraway countries. Children can learn how to count from 1- 10 but also how to count in ordinal numbers. The story explores different sea creatures and the change from morning to night. But I think it opens parents and teachers up to the problem – what happens when things fall into the sea that don’t belong there? So what can you do to ignite care for what we consume? Look at the diet of sea animals – does plastic fall into this? What might happen to each of the rubber ducks? Does plastic breakdown? Try your own experiment by burying food scraps and plastic – see which one breaks down first. Do a household census – what things in your house are made of plastic? Categorize the plastic into single use, long term use, recyclable and waste. Explore alternatives to plastic. Are there alternatives to plastic bath toys? Can we use rubber? Recycled plastic? Whilst playing in the bath or playing with simple toys, put them in order. Count them from one to ten. Roll items or throw items towards a line to see who can fly the furthest. See you came 1st. 2nd, 3rd etc. Explore some eco friendly bath toy options – there are some great ones out there! But also look at kitchen utensils and bowls, pots and containers that could be used in the bath. Children are a lot more creative than what we give them credit for!